Dosage : ADULT: 1-2 tablets thrice a day. Renal Calculi is described as kidney stones that are in the form of small and hard deposits in urine, made up of mineral and acid salts. This can block urine from leaving the body and thus causes lot of pain as its moving around. Homeopathy has the best treatment for Renal Calculi and Doctor Bhargava formulations are a result of techniques perfected over 100 years of practice. kidney stones are mostly found in people between the ages of 20-40. The most common type of kidney stone is made up of calcium. 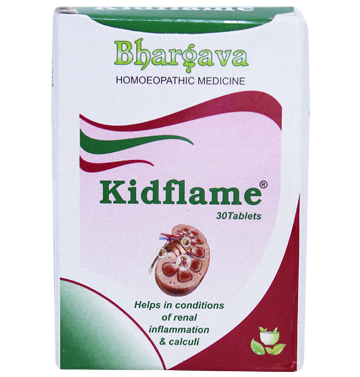 If you are looking for the best Homeopathic Medicine for Renal Calculi then Doctor Bhargava natural remedy provide you the best solution.